After nearly a year of intermittent development updates and little new footage, PlayWay and Illusion Ray Studio have finally released a brand-new teaser trailer for the upcoming horror game, The Beast Inside. Although only 44 seconds long, the teaser shows off what appears to be a new location as well as a new ghoulish adversary. More importantly, it is clear that the two teams have been hard at work re-tooling the game's "photorealistic" graphics, which were seen in last year's Kickstarter-only demo, putting increased emphasis on lighting and environmental detail. The trailer also features more legitimate scares than many horror games do from start to finish. For an unreleased game that has already been called by some YouTubers and Kickstarter backers "one of the scariest horror titles ever made," that's little surprise. 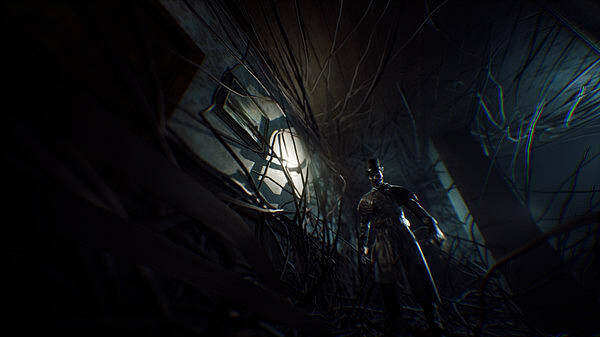 In our time with the demo last year (which was provided by PlayWay without contribution to The Beast Inside Kickstarter campaign), we agreed with that sentiment, noting that the game shares striking similarities with games like Resident Evil 7 and Layers of Fear as well as the now-defunct Silent Hills demo, P.T. However, those similarities are intended. Speaking of the game's atmosphere and story, PlayWay has said that the team aims "to create a game with a very strong, twisted narrative that will keep players on the edge. We're all big fans of horror games ... so while creating The Beast Inside we took the inspiration from our personal favorites." For those unaware of The Beast Inside, the game is currently being developed by Illusion Ray Studio following a successful 2018 Kickstarter campaign that raised $62,810. PlayWay, the game's publisher, has said that The Beast Inside uses Unreal Engine 4 to achieve "photorealistic supernatural horror," and it is "set in a complex, semi-open world." The game's interconnected storyline spans two eras and follows two protagonists: Adam, a CIA cryptanalyst living during the Cold War, and Nicolas, a man living during the waning years of the American Civil War. Both are inextricably connected, although it is not immediately clear how or why. What is certain, however, is that The Beast Inside is a terrifying horror game that seeks to both honor its forebears and subvert genre expectations. PlayWay is currently aiming for a 2019 release on PC. In a recent email to GameSkinny, the company confirmed that, despite not meeting the original console stretch goal during its Kickstarter campaign, the game would also be coming to PlayStation 4 and Xbox One "sometime after" the PC release. 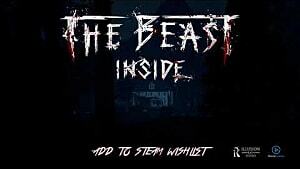 More information on The Beast Inside's development can be found on the game's Kickstarter page.